“On one hand, digital business models present unique opportunities: they enable new pricing and revenue models, such as Freemium, and they can generate profit margins that are simply impossible with traditional models. On the flip side, digital business models present unique challenges, for example the need for extreme speed and agility, cultural challenges, and a higher risk due to a tendency to promote “winner-take-all” market structures. 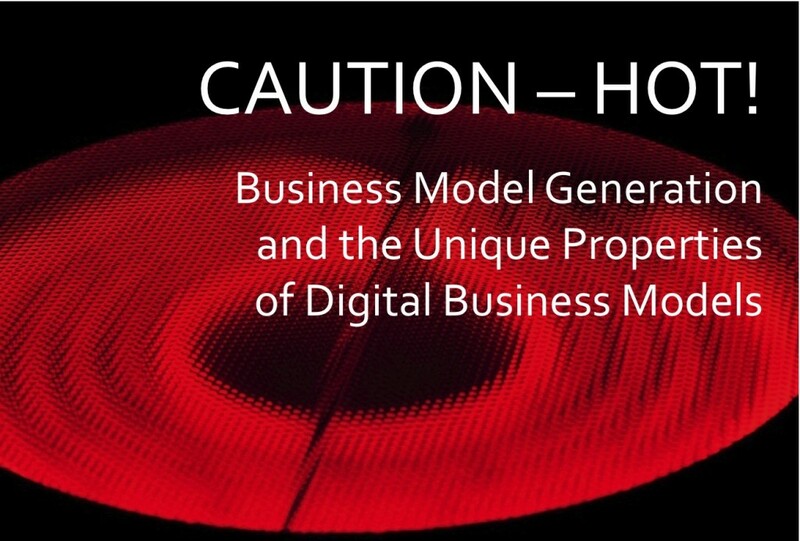 The slide deck is available here (PDF) – it highlights how the unique properties of digital business models are tied back to their cost structure, which is characterized by low variable cost and therefore, low marginal cost. Special thanks go to Dirk Haun: Dirk is the author of “Presenting for Geeks” and he kindly helped me turn the initial draft into my first slide deck in the visual presentation style, following the rule of “one idea per slide”. The PDF (extended slide deck) includes these core presentation slides, plus additional pages that provide part of my “voice over” from the talk and the detailed cost structure data. These additional pages (obviously) do not follow the visual presentation style. This entry was posted in English, enterprise, General, growth company, startup and tagged business model, business model generation, cost structure, culture, digital business model, evolution of business models, marginal cost, physical business model, pricing on October 5, 2013 by Barbara.